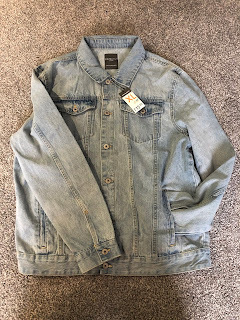 I am hoping to get my hands on some of these items very soon and I honestly really do think they will help me along with my weight-loss and toned body journey. Live love lift vest from £14.99 - I always love buy new work out clothes and I fell in love with this vest the second I saw it. Protein Chox from £18.99 - These sound amazing but I am really torn between the caramel or chocolate ones. 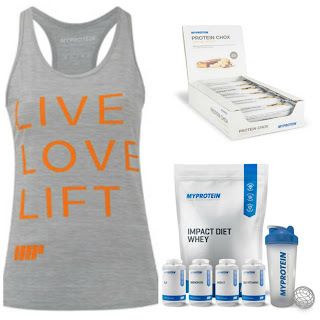 Weight loss pack from £26.12 - This would be absolutely perfect for me as you get a bottle, chocolate protein (other flavours available too) plus a lot more supplements which aid your way to weight-loss. 1/2 gallon hydrator £4.99 - As I am trying to raise my daily water in take for me this is the perfect product as I can definitely fit plenty of water in here. Instant oats from £2.99 - These look like the perfect snack for me at work and come in chocolate flavour which makes them even better. Sweatpants slim fit from £16.99 - These are obviously an essential for journeys to and from the gym and maybe the odd jog. 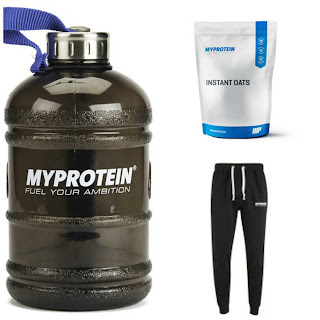 So there you go that is my current list that I aim to get as soon as possible from www.myprotein.co.uk. I cant wait to make an order and keep you all up to date with my weight-loss progress.